Fate of 'Disappeared' Stirs Anger Among Pakistan's Pashtuns - Integration Through Media ....! 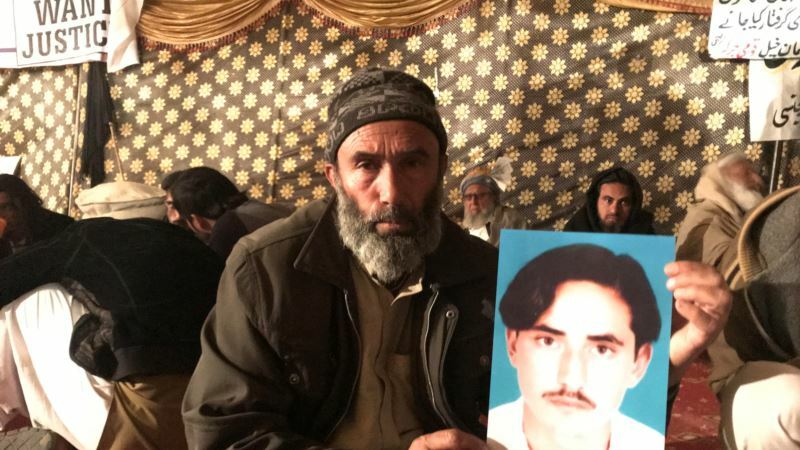 (VOA): When Mohammad Ayub Khan heard his nephew had been picked up by Pakistani security officials in Karachi, it brought back painful memories of another nephew who had gone missing in similar circumstances years before. “Naqib's blood has given the rest of us a voice,” said Alam Zeb Khan, one of the protest organizers. “We have to grow up early. It's because of the lives we are born into,” Alam Zeb said. On March 15, Pakistani authorities filed a case against Pashteen for “provocation with intent to cause riot,” carrying a maximum sentence of five years. “If your name is Mehsud and you're from South Waziristan, then immediately people associate you with militants,” human rights lawyer Jibran Nasir said. “I have spoken to the families of all eight and they were with the intelligence agencies,” he said. “He hated militants,” Mohammad Zahid said of his cousin, Kaleemullah, whose arrest he witnessed. “He was working as a bus conductor in Karachi when the coach was stopped by security officials and Hazratullah was taken away,” Bilal told Reuters, holding up a large picture of his son.